Hey everyone! Tomorrow is my last day of school...which means more blogging during the summer! My next posts for June will be two more Barcelona posts (I know that I have been taking so long with it), a Harry Potter post, and maybe something else depending on how productive I am. I can't believe that this school year is already over! I have three months of summer break to enjoy before I become a junior in high school. With school comes lots of procrastination, and I am the queen of that. This post is three youtube channels that you should definitely binge watch this summer. We’re Damon and Jo – two 90s kids who got tired of cheesy travel shows and cookie-cutter travel hosts, so we took off around the world and made our own version: Shut Up and Go. We felt there was an obvious lack of someone different representing the travel industry. No one that was young, multilingual, or diverse; no one like us, or the millions of other people in our generation who want to get out and see the world. I stumbled upon this channel when I a recommendation came about on Youtube that said, "10 tips for Studying Abroad in Paris". Their channel is filled with travel vlogs, tip videos for traveling, language lessons, and so much more. Damon and Jo go traveling for as little money as possible and inspire people to learn languages and put them to use. They update four times a week and it's always quality videos. The two also run a travel blog called Shut Up and Go (http://www.shutupandgo.travel/) which is filled with even more experiences while traveling and tips. 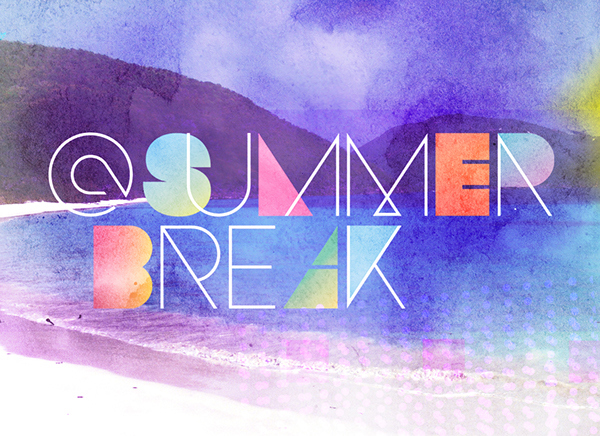 @SummerBreak follows a group of LA kids living out loud on the beaches of Southern California for their final summer together.Experience the drama as episodes are posted on Tuesdays, Thursdays, and Sundays. This Youtube Channel is a reality television show that follows teenagers in California this year. Most of the filming is done on Samsung phones, iPhones, and GoPros which I think is very cool. The people on the show are usually funny but sometimes there is a person everyone hates or a couple that everyone loves. This show has three seasons worth of beautiful California views. Apparently, this year this show will be in Miami, Florida and I have a feeling that it's going to be great. This youtuber is a very inspiration teenager. She lives on the West Coast and has two Youtube channels where she updates once to three times a day. Stella is very big on empowering girls to do what they want and express themselves however. She is a vegan youtuber and her videos are vlogs, what I eat in a day, makeup tutorials, rants, and more. I watch her videos because they are made well and she is very relaxed, is not mainstream, and has her own unique personality. What are some Youtubers you watch? I can't wait to start blogging more that summer is here! Definitely going to check these channels out. I highly recommend watching Aspyn Ovard. Her blogs with her husband, Parker, are also really cool! Lovely post, Christina!